Saul performed as part of our Youth Folk Challenge in 2018. We were so impressed, we asked him to come back and perform again this year. 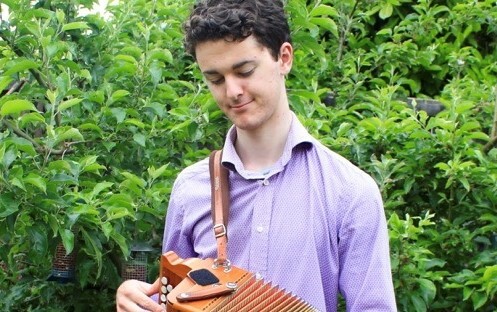 He is an English diatonic button accordion player of outstanding ability with roots in traditional music and Morris dancing and equally at home with English, Irish or contemporary tunes. He takes inspiration from both Britain and overseas, and loves getting people tapping feet, nodding heads, or dancing a jig. Close your eyes and you could swear that Andy Cutting was in the room!